My pantry you guys. I’m just..agh..it’s so awful. I mean..it’s not awful in the way that I don’t like it, I love my pantry. I’m thankful for it! Before we moved into this house (a year ago this coming April!) 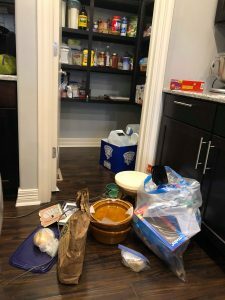 I didn’t have a pantry. 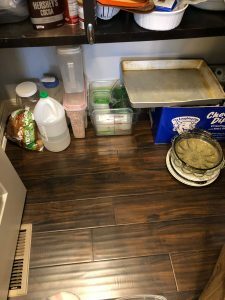 I had cabinets that held all our food, my baking gear (yeah..GEAR because I have a crap ton of it), small kitchen appliances, etc. 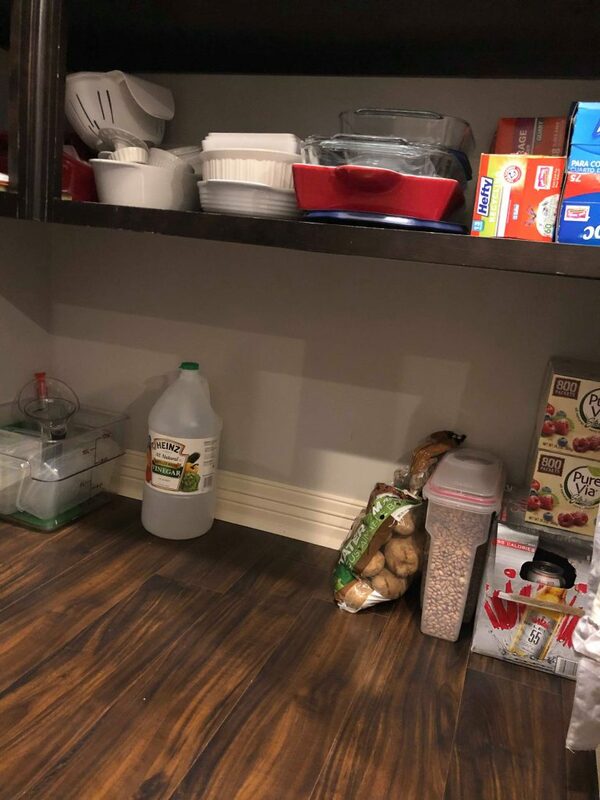 I think I forget how much more space I have because as you can see from the pictures below, I’ve got all of the above mentioned stuff all in the pantry. Even though I have a nice size storage room in the basement that is perfect for everything that isn’t food lol. I mean..I had ELEVEN pie dishes in my pantry. Eleven. I make a LOT of pies during the holidays so I definitely need that many, don’t even try to talk me out of them. They are MINE and I will fight you for them. HOWEVER, I do NOT need eleven of them taking space up in my pantry the rest of the year! 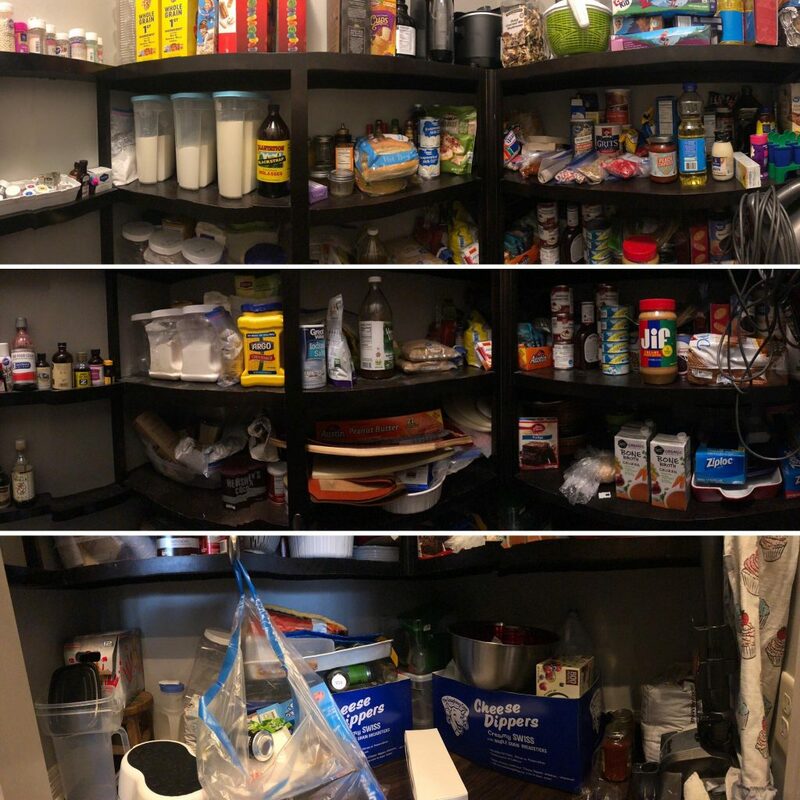 I think because I’m not used to having an actual pantry of this size (or at all really) I absolutely 100% underestimated how large of a project this truly is. So, I’ll be breaking it into a few instead of just one. For my sanity. For my husbands sanity. For everyone’s sanity! Today I worked on just the BOTTOM portion. 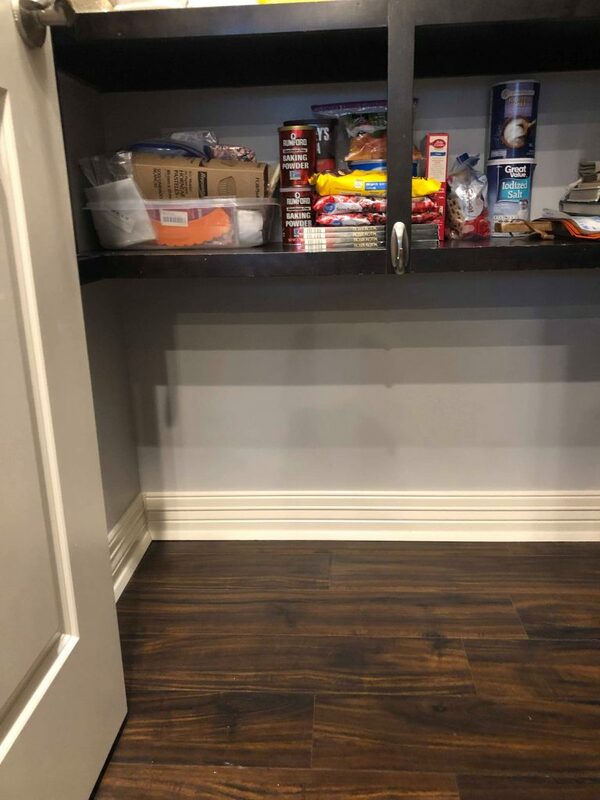 The very bottom shelf and then the space between the shelf and the floor itself. 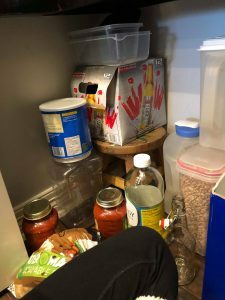 One of the large boxes is filled with empty glass bottles that I’ve been saving for kombucha (that’s on my project list, so that’ll definitely be a fun project to complete and share with you guys!) so I moved that box into my office as I will be coming to those bottles shortly and I’m all about working smarter, not harder. No way am I taking them downstairs only to bring them all the way back upstairs in a week. Nope. No, thank you! 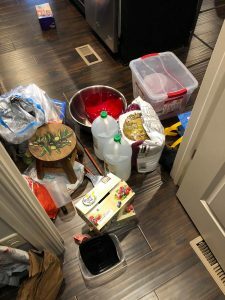 Side note – this is not my trash bag lol..it’s our recycle bag! 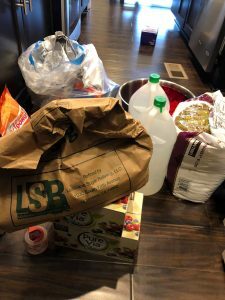 All of our recycling goes in this bag!